How Long Will The Cybex 525T Last? Despite Cybex’s inability to create a user-friendly website, they have built a durable treadmill. The 525T has not only been put together with quality components, but it has also been designed with a few parts that help keep the motor and walking belt cleaner for a longer time. With this, someone who enjoys heavy running is likely to be able to use the Cybex 525T for many years without repair. With that said, how you take care of your treadmill will either lessen or extend its life. Now, since you may have already experienced the Alcatraz that is the Cybex website, we can give you a few tips to keep you from doing more research. Simple steps like unplugging your treadmill after your workout, using a treadmill-only pair of running shoes, and setting up a time to lubricate your walking belt will help to add years to your treadmill. The Cybex 525T has been built with stability and intelligent design features that help improve the treadmill’s durability. Yet, this treadmill lacks the upgraded technology that is slowly becoming the standard for the treadmill market. Cybex does offer an optional screen to add to your treadmill, but their website is as user-friendly as North Korea which makes it difficult to compare prices and understand what you are purchasing. With this, we have found the Cybex 525T to have an imbalance between style and utility earning it Third Place on our 2019 Best Buy list among the $4,000 to $5,999-dollar treadmills. The 525T also has quality components that help to make for a respectably built treadmill. The walking belt is one of the largest among our top four in this price range. Also, this machine has a strong build which indicates that the 525T will last many years. Still, we do have a few complaints about the 525T. To start, the user has to purchase an optional screen in order to have a feature that is commonplace in today's treadmill market. This would not necessarily be a big deal if the 525T had a decent number of built-in workout programs. Yet, this treadmill only comes with nine. We have seen more built-in workouts in treadmills that cost a few hundred. The second string of complaints derives from Cybex's website. To start, Cybex has placed their warranty on a chart that is located on a separate webpage. While this inconvenient chart may be easier on their web designer, one would think that the customer's ease would be a greater priority. The Cybex 525T comes with specified warranties on the frame, parts, labor, belt, deck, screen, and even the receiver ports. Though the overall warranty adds good value to the treadmill, it is a little unnecessarily lengthy. Combine that with the poorly designed chart and the consumer is left having to work in order to spend their money. A machine that is this expensive should have information that is easy to obtain that doesn't require an investigation. Similarly, the prices and pictures of the 525T are hard to find on the website. Since you don't get many workout programs, you are more than likely considering the additional screen. Yet, one would have an easier time finding Amelia Earhart then trying to find the price of the screen on the Cybex website. Furthermore, one also has a difficult time viewing the 525T up close. If you are going to spend this much on a treadmill, you should be able to see the 525T whichever way your heart desires. In the past, we have said that the Cybex 525T is one of the best treadmills in this price range. We have been pleased with the appealing design and the reasonable price. 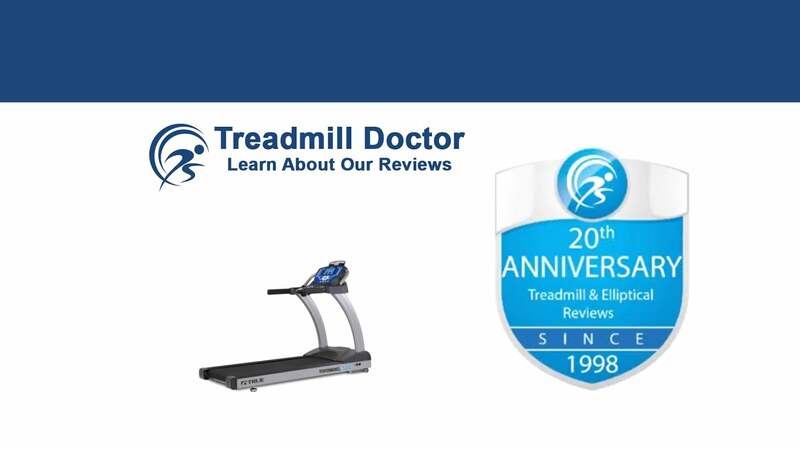 We have also said that this treadmill is certainly far better quality than the department store treadmills and is likely to last a long time. We have placed the 525T in Third Place among our $4,000 to $5,999-dollar 2019 Best Buys because of its imbalance between style and substance. Though the Cybex website seems to be trying to keep the 525T details as secret as Area 51, they have managed to build a good treadmill. The 525T has been built with durability and has a few features that will more than likely extend its longevity. Though you will not enjoy the updated programming that some of the other treadmills in this price range have, you are likely to see many years of good performance out of the Cybex 525T.